Acanthamoeba keratitis (AK) is a rare and potentially severe corneal infection. In rich countries, AK is often related to contact lens (CL) wearing, poor contact lens hygiene and prolonged CL wearing . Soft CL are known to be at increased risk than rigid gas permeable (RGP) lenses . AK may have a proteiform presentation [3, 4]. At the onset, signs and symptoms are often aspecific and the clinical picture may be mistaken as a fungal, bacterial or viral infection leading to a delay in the diagnosis. In absence of a prompt treatment, devastating complications as perilimbar scleritis [5, 6] and severe ischemic posterior segment inflammation  may occur and lead to complete vision loss. Therefore, if possible, an early diagnosis should be always made  and more than a single investigation should be performed to detect either the parasite vegetative forms (trophozoites) or the typical double-walled cysts (dormant forms) . In this article, we describe two cases of amoebic keratitis with uncommon presentation in which a proper diagnosis was established after multiple and repetitive diagnostic procedures including conventional cultures, microscopic smears, polymerase chain reaction (PCR) and even tissue biopsy. Two patients with clinical features of keratitis of unknown origin were referred to the Corneal Service at the Catholic University of the Sacred Heart in Rome for consultation between 2016 and 2017. For each patient, a complete ophthalmological history focusing on keratitis risk factors was obtained and multiple diagnostic procedures were performed in order to detect the specific pathogen. In case of corneal and/or anterior segment involvement several laboratory diagnostic procedures are available in our centre, divided in first- and second-level or advanced diagnostic procedures. First-level investigations include microscopic examinations of smears and incubation of cultures following large corneal debridement. In case of negative results, more advanced procedures, normally performed, are polymerase chain reaction (PCR) and in vivo confocal microscopy (IVCM). In case of negative results, a sclero-corneal biopsy may be required. Since laboratory diagnostic procedures may take several days and even weeks for final results, a temporary wide spectrum antibiotic therapy was administered in both cases according to the clinical presentation and severity of the corneal involvement. A 78-year-old male presented to our service with a severe corneal abscess in his left eye. Visual acuity was hand motion in the affected eye and ophthalmological history was negative for both contact lenses wearing and corneal trauma. In a previous centre, the patient had been already investigated for infective keratitis by microscopic examination of smears and cultures without any microbial detection. At slit-lamp examination the patient showed bulbar injection and a large deep infiltrate with ulcerative keratitis. Signs of anterior chamber inflammation and a mild hypopyon were also present (Fig. 1a). Among symptoms, the patient complained of marked visual loss and tearing. Despite remarkable anterior segment involvement, he did not complain of any ocular pain. Since microbial keratitis remained the most suggestive diagnosis, corneal scrapes were repeated and submitted to microscopic examination of smears and cultured for bacteria, fungi, and protozoans. Moreover, PCR for Acanthamoeba DNA detection was performed, but neither microbiological examinations nor molecular biology techniques were able to identify a specific infectious agent. Once corneal samples had been collected for multiple diagnostic procedures, a wide-spectrum systemic and topical antibiotic therapy was promptly administered. Systemic therapy consisted of vancomycin 1.0 g per day; ceftazidime 1.0 g twice a day and aciclovir 800 mg five times per day. Topical therapy included atropine drops 1.0%, chloramphenicol 10 mg/g + colistimethate 180.000 UI/g + tetracycline 5 mg/g ophthalmic ointment (Colbiocin®) and ganciclovir 1.5 mg/g (Virgan®) dispensed three times per day. After 1 week, slit lamp examination revealed improvement of the stromal infiltrate, epithelium defect healing, and resolution of the anterior chamber inflammation and hypopyon (Fig. 1b). The patient was dismissed with a putative diagnosis of microbial keratitis in severe neurotrophic keratopathy, considering the complete corneal anaesthesia and absence of pain throughout the disease course. One week later the patient presented with recrudescent hypopyon requiring a second cycle of systemic and topical therapy (Fig. 1c). Anterior chamber hypopyon resolved after treatment, but CL bandage was applied due to persistent central epithelium defect. Because of CL bandage, previous ophthalmic ointments were halted, and new wide spectrum topical antibiotcs were started: moxifloxacin 5 mg/ml drops (Vigamox®) four times per day and netilmicin 0.3% drops (Nettacin®) four times per day. Diclofenac 1 mg/ml drops (Voltaren®) dispensed three times per day was added to atropine 1% drops. Systemic aciclovir 800 mg was maintained three times per day. One month later, the epithelial defect resolved, however, multiple perilimbar nodular infiltrates were detected (Fig. 1d). A clinical diagnosis of multinodular perilimbar scleritis was made and the patient hospitalized for further investigations and treatment. During hospitalization serum and immunological tests were performed in order to exclude specific causes of nodular scleritis (tuberculosis, sarcoidosis, Reumathoid Artritis, Wegener granulomatosis…) and simultaneously a sclero-corneal biopsy was made. The perilimbar biopsy was diagnostic for free-living amoebae and cysts, which were further planted on non-nutrient agar plates for cultivation and isolation. On this basis, an anti-amoebic agent (Brolene®) was promptly administered in association with systemic steroids and immunosuppressive agents according to the Moorfields Eye Hospital Protocol  for the management of severe forms of Acanthamoeba immune-mediated scleritis. The patient, who had not received any steroidal treatment before the onset of the scleritis, was treated with topical diclofenac (Voltaren®) and dexamethasone 2 mg/ml (Luxazone®) both dispensed four times per day. Systemic predisone 25 mg per day and azathioprine 3 mg/kg per day were also administered. During follow-up, scleral inflammation improved with good resolution of the perilimbar nodules. Nonetheless severe scleral thinning developed in association with corneal opacity and epithelial defects due to limbal stem cells deficiency (Fig. 1e). In order to avoid perforation and endophthalmitis, an amniotic membrane sheet was placed and subsequently a complete conjunctival covering performed (Fig. 1f). A 30-year-old woman was referred to our centre with a clinical diagnosis of unknown keratitis in her left eye. Symptoms had started 2 weeks before her first ophthalmological assessment in a previous centre, and she had been already treated with topical dexamethasone and tobramycin (Tobradex®) with poor results. Her medical history revealed CL wearing for several hours per day, poor CL hygiene and occasional sleeping with CL. The anterior segment slit-lamp examination showed an intact corneal epithelium and multiple nummular sub-epithelial infiltrates (Fig. 2a). She complained of decreased vision and moderate ocular pain. Best corrected visual acuity (BCVA) was 20/50 in the affected eye and 20/20 in the fellow eye. Microbiological investigations had been performed on the patient before referral to our centre, with negative results for common corneal pathogens. In order to manage the corneal infection, cultures and smears from the patient’s ocular surface fluids were repeated. Contact lens multipurpose solution and lens storage cases were also analysed with persistently negative results. The patient underwent a wide-spectrum topical therapy with levofloxacin 5.0 mg/ml (Oftaquix®), fluorometholone 0.2% (Flumetol®) and ozone enriched eye-drops (Ozodrop®) four times a day. Fluorometholone and levofloxacin were both established as first line treatments and dispensed soon after our ophthalmological assessment. Two months later the patient reported a mild improvement in ocular pain, although at the slit lamp examination the sub-epithelial infiltrates persisted beneath an intact epithelium. As consequence a wide corneal scraping and new cultures were performed. A few days later, Acanthamoeba spp. was detected from such cultures. Because of propamidine isethionate 0.1% drops (Brolene®) is the sole anti-amoebic drug commercially available, the patient was managed with such anti-amoebical monotherapy dispensed four times per day for 3 months with a great improvement of the corneal infiltrates and pain (Fig. 2b). To date, after 6 months of follow-up, the patient is still under tapered therapy with topical steroids and propamidine isethionate 0.1%. At the last scheduled assessment BCVA improved to 20/30 and no adverse reactions or complications were reported. Acanthamoeba keratitis is a rare and vision-threatening condition . The clinical picture may be various but some findings are believed to be typical: the unilateral presentation, a history of CL wearing, diffuse corneal haze, radial keratoneuritis and a ring-shaped stromal infiltrate [1, 2, 4]. Among symptoms, blurred vision and disproportionate pain are frequently reported, with the latter being largely considered pathognomonic of AK . Nevertheless, atypical presentation may be the rule and, in developing countries, exposure to contaminated soil or water, and a history of ocular trauma are the main predisposing factors, whereas CL wearing has lower importance [12, 13]. In a recent published series, a typical presentation with disproportionate pain, ring infiltrates, and radial keratoneuritis was observed in less than a third of cases . Cases of painless AK with normal vision have also been reported [14, 15, 16]. The first patient of our series presented with severe anterior segment involvement, with no complain of ocular pain even after the onset of scleritis. The absence of pain together with persistently negative cultures led to a delay in the diagnosis and thus proper therapy could not be administered. At first, to explain corneal anaesthesia and the absence of pain, a neurotrophic keratitis was supposed, but when sclerokeratitis arose, it was clear that neurotrophic keratopathy could not be the proper diagnosis and a sclero-corneal biopsy was therefore necessary. Moreover, patient habits and environmental exposure were investigated and it was found that he had been exposed for a long time to capsaicin, a molecule extracted from chili pepper with well-documented analgesic properties [17, 18]. The patient later referred that he was still engaged in agriculture and that chili-pepper farming was his main employment. He used to wash his hands and face with the same water that he had collected in a little basin before. It is reasonable to suppose that slight ocular trauma with an exposure to contaminated soil could have been the predisposing factor for AK, whereas the exposure to capsaicin might explain corneal analgesia. Capsaicin analgesic effect can be explained by the activation of its receptor transient receptor potential vanilloid subtype 1 (TRVP1) with a subsequent loss of function of the somatic nociceptive fibres. Nerve endings collapse because of the calcium overload induced by activation of TRPV1, with loss of mitochondrial function, metabolic inhibition and disruption of the integrity of the terminal membrane . 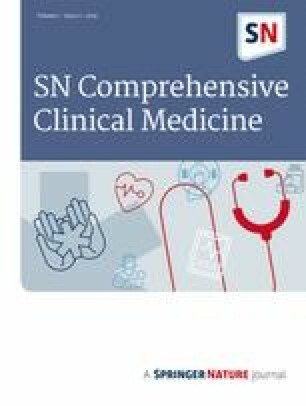 In previously published cases series, enucleation was recommended as the definitive surgical solution in presence of scleritis with limbar stem cells deficiency, in order to control a painful condition in an otherwise blind eye [19, 20, 21]. In our case, the absence of pain due to the prolonged capsaicin exposure made it possible to perform an “eye-sparing” surgery. The second patient of our series was a young, contact lens-wearer female who presented with a nummular keratitis and an otherwise intact epithelium. Moderate ocular pain was also referred. This case, according to the classification proposed by Tu et al. , may be considered a mild but atypical form of AK; indeed, in clinical practice, amoebic keratitis with no epithelium defects are not the rule . The reported cases both remark how an etiological diagnosis can be challenging in some cases of infectious keratitis, especially for AK. It has been reported that traditional cultures effectiveness in isolating Acanthamoeba ranges between 30% and 60%  and it may take some weeks for final results . Recently newer diagnostic procedures, as IVCM and PCR have been largely adopted, but it was found that they may integrate but not completely substitute amoebic cultures [25, 26]. On the other hand, IVCM is a long spending procedure in which any single frame of the scan needs to be evaluated by an expert operator in order to detect lesions that may be related to Acanthamoeba. Furthermore, cases of PCR-negative but culture-positive AK have been described [25, 27]. Scheid reported a case in which Acanthamoeba involvement was detected with traditional cultures, whereas PCR was persistently negative . To explain this finding, the author postulated that nucleotides substitutions in the highly-conserved region of the 18S rRNA gene (the molecular target) may prevent binding of commonly used primers for molecular detection . Moreover, in a large series of 125 patients diagnosed with keratitis, Kowalski et al. found that only 14 out of 125 patients (11.2%) had their diagnosis of AK confirmed with both PCR and cultures, whereas 4 out of 125 patients (3.2%) and 3 out of 125 patients (2.4%) were respectively “culture-negative PCR-positive” and “culture-positive PCR negative” . It was also remarkable that the vast majority of cases (104 out of 125 patients; 83.2%) were both “culture and PCR negative” for Acanthamoeba spp., and among these a different causative pathogen was isolated in only 19 cases (18.3%) . The above-mentioned studies confirm the assumption that an etiological diagnosis may be challenging to make in case of corneal infection and that quite often the causative agent remains unknown. Our cases and the aforementioned studies highlighted the current role of the “clinical diagnosis” that in our opinion cannot be entirely replaced by the “laboratory diagnosis”. Similarly, Goh and co-workers with the definition of “clinical AK” referred to those cases in which robust clinical signs of AK were present or otherwise it was possible to observe a complete disease resolution after amoebicidal drugs administration . Therefore, if a high grade of AK suspicion is present, we suggest anti-amoebic agents administration even in case of multiple negative laboratory investigations, in order to avoid devastating complications related to an unrecognized Acanthamoeba ocular infection, considering also the low risk of toxicity of anti-amoebic treatments . Atypical presentation of AK is quite common and sometimes may be the rule. Despite several diagnostic procedures have been developed to improve its identification rate, multiple negative results from different procedures cannot completely rule out amoebic involvement. Therefore, anti-amoebic drugs administration seems recommendable in case of patients with a high grade of suspicion for AK despite persistently negative laboratory results, in order to prevent severe vision loss. Frias B, Merighi A. Capsaicin, nociception and pain. Molecules. 2016;21(6). doi: https://doi.org/10.3390/molecules21060797.